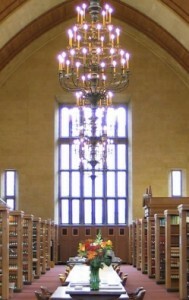 As classes end and we begin the exam period, the Law Library has restricted access from April 28 through May 14. 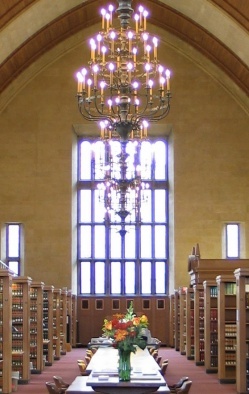 During restricted access the Law Library is open to law school affiliates, university faculty, and non-law students conducting legal research. The Law Library continues to be sensitive to the needs of the university community during exams, and non-law students who need to retrieve books or obtain research assistance are welcome to visit the library for those purposes. Good luck on exams one and all! Bloomberg: Your academic account remains active during the summer and there are no restrictions on its use. It can be used for both academic and commercial purposes. For graduates, your BLAW account remains active through December 2012. Lexis: You will have full access to Lexis Advance during the summer without special registration. If you do not have a Lexis Advance account, contact our Lexis rep, Aaron Eberle, aaron.eberle@lexisnexis.com Academic use only, commercial use is prohibited. For summer access to Lexis.com, you will need to register at www.lexisnexis.com/lawschool/ at which a registration form will be available by the end of April. Register before the end of May. Same restrictions on academic use apply as above. Westlaw: You will have full access to both Westlaw.com and Westlaw Next for the summer without special registration. NOTE: West is placing a per month limit on the use of each; however, the hour limit is significantly higher than the maximum number of hours used by any student during the school year. If you exceed the limitation, you will be able to register for additional hours at https://lawschool.westlaw.com Academic use only, commercial use is prohibited. If you have questions, contact Matt Morrison. If you do not have a CALI account, stop by the Reference Desk or email Matt Morrison for the registration password.